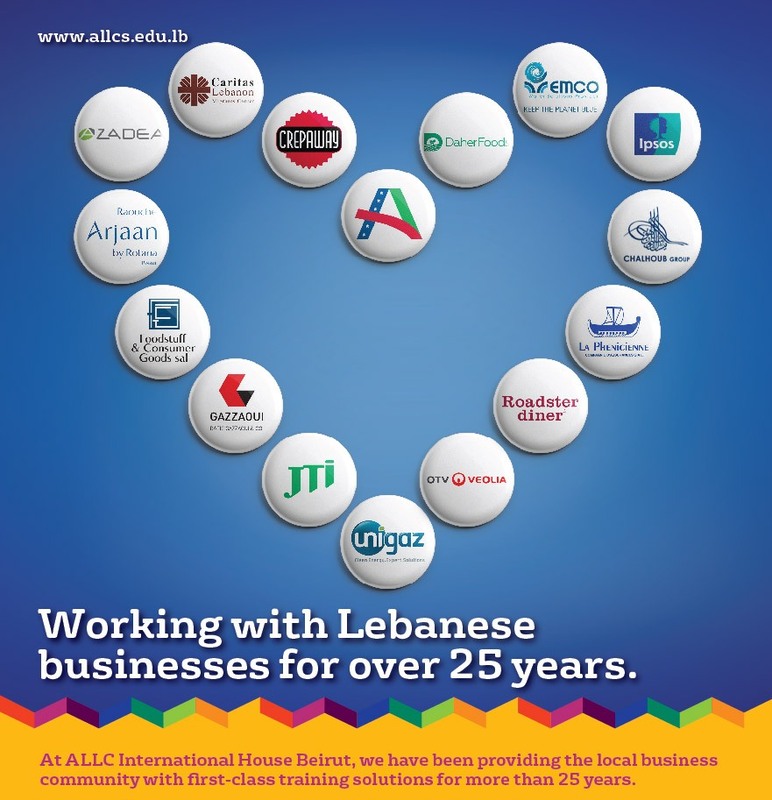 International House Beirut are experts in delivering tailor-made corporate language courses at our clients’ place of business. Our experienced teachers design high-impact language training programmes targeting your specific needs and deliver them around your schedule. Choose from English, French, Spanish, German, Italian, Brazilian Portuguese, Russian, Arabic, Mandarin and Japanese at any level from beginners upwards. Other languages are available on request. At International House Beirut we 've been teaching Business English for over 30 years. Our qualified English teachers with business experience will push you to achieve the best results. The test can either be done online – this is then followed by a short face to face speaking test at our centre, at which point we will recommend a course of learning to suit your needs. Alternatively, you may choose to complete the whole test at International House Beirut in Sin el Fil. Arrangements can be made to carry out placement testing at our clients’ premises.